La rivista italiana "al volante" ha ottenuto un tempo di 8:34,non capisco questo 8:59,forse nevicava? How does this compare to a Corsa Opc Nurburgring? Oh, would be better if they left the previous Clio. It seems that Renault's priority is to make the engine as tiny as possible. In old good V6 MkI/II the displacement was 3 liters, then it dropped to 2 liters, and now it's only 1.6. Now it has absolutely unfitting automatic gearbox, which makes it not as fun to drive as the previous. And it's exterior - holy sh... One advantage can be seen in this MkIV - only 25 Nm more, which is nothing in comparison to monsterous 400 Nm of Megane III Clubsport. I'd buy Clio MkIII over this, not even telling about first two gens. I ment Estate car, and there's no other company that makes a 580bhp+ estate car other then Audi, that is new even by today standards. only Cadillac, Mercedes, Bmw come close to it, n thas not almost every.. Almost every premium brand makes 500+ PS "Family Saloon Car"... and this is nothing new. Uh last time I checked, there were no 500+ PS family saloons just 8 years ago, so yes this is new. Plus, the older V6 Phase is 9years old, and it put down 255Bhp in rwd form being Mid engined, and that car was Very popular and unlike Renault. I don't know, times were good for Europe's car industry then, it's hard for car companies like Renault to justify making a car like that in these times. If Audi, Can make a 580Bhp Family Saloon Car, then i can believe anything. I think if they made a new one from this version, it would be even more popular with people today, never know though, there are so many different versions of the Clio, they should make one that Really stands out. 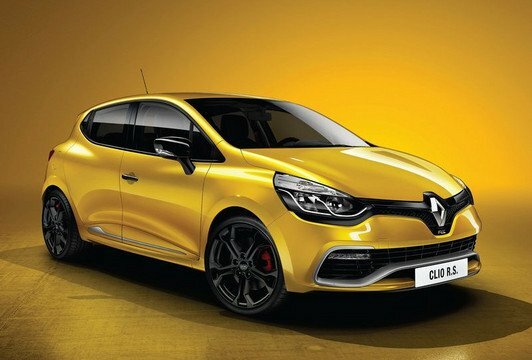 I wouldnt mind a V6 Phase with 350Bhp and Mid Engined once again, Renault need to put some power in there cars, I think its bout time. Hell yeah the V6 was awesome, this thing has no inspiration..